Sell Your Car in Greensburg - Fast, Safe, Fair! Our historic Greensburg branch is conveniently located just outside the city of Pittsburgh. 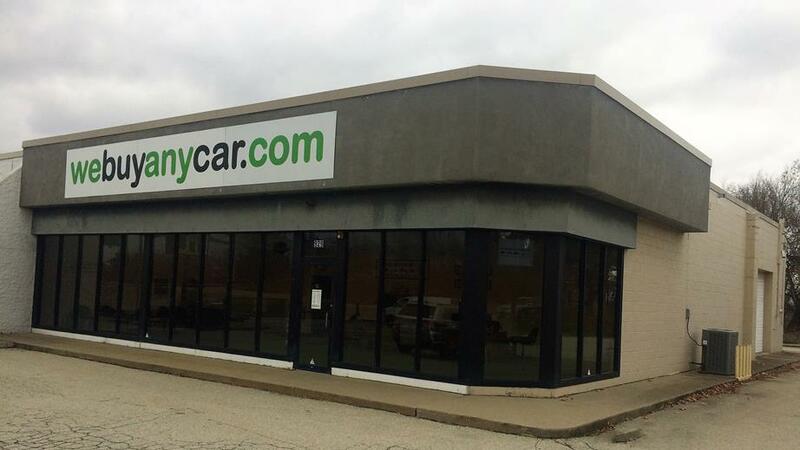 Our location's surrounding area offers a variety of amenities to suit each of our valued car selling customers. Unlike Kelley Blue Book, We Buy Any Car is a full-service car buyer. Our services include everything from helping you to determine how much your car is worth, all the way to you leaving with a check for the fair market value of your car that you can cash or deposit right away. Why wait? Get started now with our free online valuation tool and make an appointment at our Greensburg location today! Our friendly staff takes pride in providing customers with a quick, hassle-free, world class customer service experience. We look forward to helping you sell your car at our Greensburg branch! We've listed answers to the most common questions on the frequently asked questions section of the website but if you'd like to talk to someone, you can reach Donald Minick who manages our Greensburg car buying center at (724) 216-6318 during branch opening hours, listed above. You'll usually be met by Donald Minick, who manages our Greensburg branch. Donald will firstly check your documentation to ensure you have the correct documents and proofs of identity and will then conduct a short inspection of your car to check its condition. This usually takes around ten minutes and you can accompany Donald while your car is given the once over. We Buy Any Car does not provide transportation after buying your car, so it is a good idea to arrange for a ride from a friend or family member in advance of the appointment to sell your car. The branch manager also has a list of public transportation options available in the Greensburg, PA area.